Mountain runner Jacob Adkin reflects on how Alex Honnold’s free soloing in Yosemite inspires and relates to his slightly safer choice of activity. I went to see a film recently. Never have I sweated quite so much or inhaled sharply as many times. I was watching a person attempt something that no-one thought possible, something that appeared absolute lunacy. The man was Alex Honnold, the film was ‘Free Solo’. Having never been as immersed in the world of climbing as I have in running, Honnold’s greatest success nevertheless grabbed my attention back in 2017, as it did the general public. Now in film form, the jaw-dropping scale and emotion is brilliantly brought to life, drawing many renewed and louder gasps of astonishment. At nearly 3000ft, Honnold’s swift scaling of the solid granite wall El Capitan in the Yosemite National Park is seen as the biggest feat in the history of the sport. I’m unsure if my recent exploits on the local wall’s 5b route, taking all of a few minutes, quite matches the 7c+ Honnold was flowing up for almost four hours straight, but whether you’re into climbing or not, it’s a rather good watch. I will leave most of the film in all its raw emotion and mind-boggling scale for yourselves to discover if you haven’t already. There were a few aspects of the film however that I found particularly relatable to running and to what I’ve seen, so I wanted to share some of my thoughts. The sport of free soloing is climbing, but free of a rope attached to your body; bouldering, but in an outdoor, limitless space rather than an enclosed room. The risks you’d say are higher than that of running. It is an activity in which you are free – free from physical boundaries, and free in the mind. I am almost inclined to agree. But then I recall the times when I have been running on a narrow, twisting trail winding along the edge of a mountainside. Or running across a knife-sharp ridge with a sheer drop either side of me. I remember thinking of nothing much in those moments, yet possessing an acute sense of peace: a clarity of meaning, purpose and happiness. I felt alive. Honnold does what he does to be on the edge of life as that is where he feels most alive, living his purpose. So I disagree, and say that running is not as dissimilar to free soloing as it would seem. We runners aren’t as far from that state of mind as we think. We don’t necessarily have to be attempting anything quite as exposed as he did (I think the suggestion “don’t try this at home” is more appropriate than ever here!) and I certainly haven’t and most likely won’t be! Going out for a run shouldn’t make you feel like you’re trapped in an enclosed room. It should open the space and yourself up. Yes, you’re not going to feel like you can shout at the top of your voice “OMG I’M ALIVE! !” every time you lace up your shoes. Instead, your running is a bit like an infinite jigsaw, with all of those ‘OMG’ moments created from many smaller experiences. These experiences are your everyday runs that go a certain length to help you find a little more freedom, to feel a little more alive. You may go running with a regular partner, within a big group, or just on your own. Whichever way you decide to embark onto the road or trail, to me running should be solo inspired. We all have our own reasons for being out there putting one foot in front of the other. It shouldn’t be something you do to satisfy others. In the film, the emotional struggle of the family and friends around Honnold as they see him risk his life is hard viewing. They accept, however, that if they stopped him in his particular pursuit, they would be stepping in between him and what defines him. Although not quite as intense as this case, running should be to fulfil your own dreams and wishes, not those of others. In the past I have compared myself to my peers, wanting what they were achieving. It was detrimental to my body because it couldn’t keep up with their training and broke down injured. In terms of my mind though, it was far more damaging: I lost confidence and belief in myself and my ability, but most sadly of all, I lost the motivation to do a sport I love. It’s something that I am very aware of other athletes experiencing too, burning out because they see only the short-term benefits, rather than planning long-term sustainability. Doing it for yourself is what running is about first and foremost, otherwise, you lose your freedom. It’s not about failing others or succeeding where others have not; it’s about your journey to achieving something, either to better yourself or to develop in a particular way. You can follow the lead of others, but at the risk of losing sight of why you are running. Or, you can create and develop that ‘solo’ attitude and relationship with yourself, running on your own terms and in a way that befits you. It will be flexible and constantly changing as you do, not restricted by the plans of others. You therefore will not only live for yourself, but see resounding improvements and happiness in your running. Honnold prepared meticulously for his attempt on the rock face. The year before his successful climb, he woke up one morning and went for it. It wasn’t the right day. 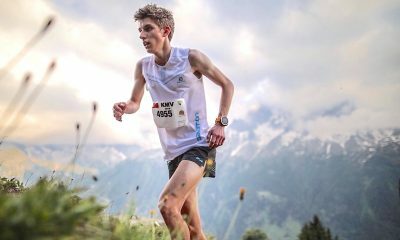 As runners, we prepare in just as much detail for races and personal challenges to make the act of doing them as relatively straightforward as possible. We have a very direct mindset about going through with that goal. Training is done so that we can handle suffering and to push through it to succeed, that’s sport. Conversely, I have learnt that it is essential to possess a certain amount of self awareness, so that you know when it is right to turn back. Honnold free soloed Yosemite’s Half Dome some years ago, and although he stood on the summit at the end, he admits it was not the experience he wanted. His ill preparation cast doubt and fear into his mind as he climbed, a dangerous mix when clinging on many metres above the ground without a rope. If he had been more aware of how inadequately prepared he was, both physically and mentally, to bring about a fulfilling climb, he wouldn’t have started. Being mindful of your body, being ‘in tune’ with it, is what can save you from a negative outcome such as this. I regret my failure to realise until too late that the increasing soreness I was feeling was a signal telling me my body couldn’t cope with the training load. Continuing to run through races in pain, I damaged my body further, had disappointing experiences, and increased my mental anxiety. I’ve known several other athletes to truly feel that the training they’re doing is right, that it will eventually give them a performance they desire. They do not realise that it is that very training leading to those negative outcomes, but it is so hard to stop and have the self-assurance to change. Taking the time to step back and pay mindful attention to your body will greatly improve understanding of yourself and the benefits of this are extensive. 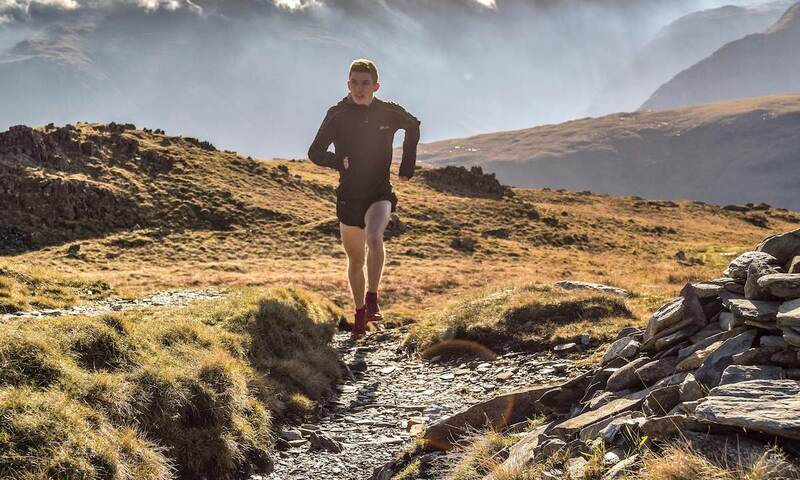 It will help you if injury or illness strikes, having to process this as well as the change to your training and racing plans it brings about. You will become more aware of when a tight muscle is in fact a precursor to an overuse injury. When your body and/or mind is just plain tired one day, you will have the ability to acknowledge this, and have the confidence to cut a run short to benefit you in the longer term. If you have greater confidence in knowing your body and mind, and in what you are doing, then the risks decrease accordingly. A moment now will pay dividends in the future. 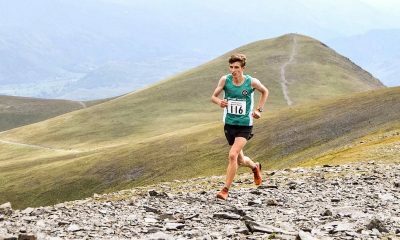 Jacob Adkin features in the ‘Fast 10: class of 2019’ and over the course of the year will share his running journey. You can follow Jacob on Twitter and Instagram, while further information about the ‘class of 2019’ can be found here.